A black plastic picnic faucet comes in handy in a pinch! 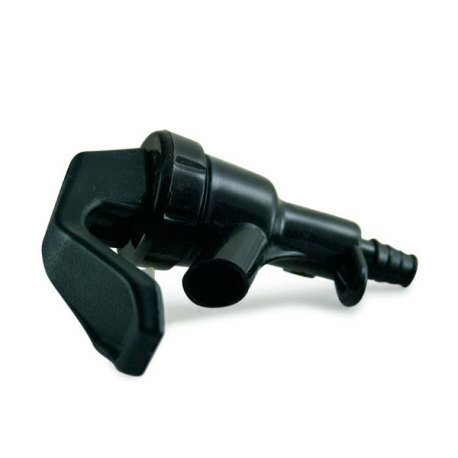 Affectionately referred to as a cobra tap, this is a fairly simple dispensing mechanism. When the lever is pressed, the rubber gate is lifted, allowing beer to flow. These picnic faucets come apart easily for cleaning, and feature a barbed end that can fit on standard beer line. Make your own or keep one on hand in case the unthinkable happens!